Jakarta, July 14th 2014 - Following Archipelago International's “Exclusive Getaway Giveaway” social media competition, the maverick hotel management group recently announced their lucky winner, awarding the grand prize of a round trip holiday to Bali. 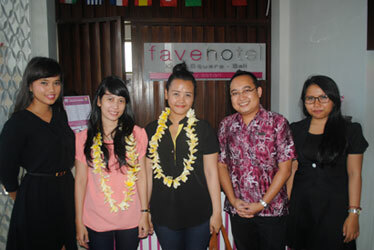 The Exclusive Getaway Giveaway competition was held by favehotels for its friends on Facebook. In order to be in for a chance of winning, participants were asked to share and tag the Exclusive Getaway Giveaway on the social media site, with each mention earning them one entry to the competition. “I was so pleased and delighted to win the Exclusive Getaway Giveaway from favehotels. It was a wonderful stay for me and my sister at favehotel Kuta Square and we’re really happy with the hotel and the services provided. 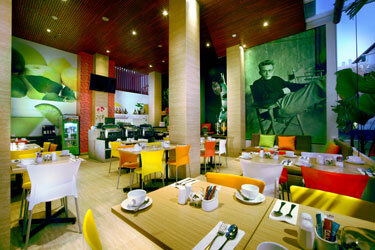 We would love to go back again soon!” Said Ms. Sri Maryati. “We were delighted to announce Ms. Sri Maryati as the winner of our favehotels giveaway! Our favehotel brand seems to be a true favorite as it was shared and seen by over a quarter of a million people during the 2 week period.” Said Ms. Tenaiya Brookfield, Director of E-Commerce at Archipelago International. 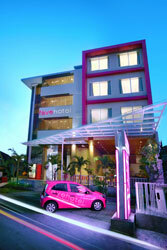 With 95 fun, fresh and friendly rooms, favehotel Kuta Square aims to bring an edgy design and an unprecedented level of service to Kuta’s budget hotel market. With a swimming pool, an attractive and contemporary hotel lobby and an eclectic café, the hotel affords facilities and amenities usually associated with more costly hotels. Guest rooms are equipped with 32 inch LED televisions, top of the line beds with quality cotton bed linens and duvets, free and “truly” high speed WiFi and a complete set of complimentary in-room amenities such as fluffy cotton towels, bathroom amenities, individually controlled air-conditioning and safe deposit boxes. Located at one of the best addresses on the island, the hotel sits in the very heart of bustling Kuta on Jalan Kahyangan Suci, no more than 5 minutes from Kuta Beach and the flurry of boutiques, shopping centers, cafes, bars, clubs and restaurants.